GREECE CAME under International Monetary Fund supervision of its own volition on May 9th. That is when a memorandum of understanding between the government, the IMF, the European Central Bank and the European Commission passed into law, binding the Greeks to reform their economy in return for €110 billion over three years. Two tranches of the money have so far been released, with a third due next month. With each instalment, the Greeks have to prove that they have taken specified steps to cut the deficit. At the time, the socialist government of George Papandreou called its restructuring plans the most ambitious fiscal adjustment ever undertaken by a European country. The gambit is to eradicate a €29.2 billion deficit over three years – no small feat for an economy like Greece’s, now over $292 billion in debt. The government twice raised consumer taxes like VAT and twice reduced public sector salaries – above-salary benefits were cut by 10 per cent, then slashed a further 8 per cent. So far those steps have proven painful – economically, socially and politically. The powerful civil servants’ union, claiming to represent 600,000 people, joined forces with the General Confederation of Labour in Greece, the largest private sector union umbrella organisation, claiming to represent a further two million. Together they have held a series of one-day strikes this year, often immobilising the capital and disrupting travel to and from Greece. Greece hit the nadir of its press coverage when three bank employees died of smoke inhalation days after the memorandum was first announced, after anarchists lobbed Molotov cocktails through their high street window. The socialists tried to introduce the reforms deliberatively and diplomatically. Even so, they faced fierce opposition. A major memorandum commitment was the liberalisation of transport. June, July and September were marked by truckers’ strikes that choked off petrol supplies as a few thousand unionised drivers fought the end of an era when they set haulage rates and traded licenses for hundreds of thousands of euro. October saw the Acropolis itself put out of action when contract workers came to the end of their employment and sought to become open-ended hires. Such practices often led to mass inductions into the public sector in the past. Not this year. The government’s fatigue was apparent on the eve of the November 7th local elections. Papandreou declared he would interpret a protest vote as a loss of confidence in his government and seek a new popular mandate. He held enough of the status quo, losing half the administrative regions but retaining some of the largest town halls, to declare a stalemate. Greeks may not have punished his government, but neither are they thrilled with it. At 60 per cent, voter turnout was 12 points lower than four years ago. In a brief speech on the night of the elections, Papandreou let slip he does not expect growth until 2012. “Let 2011 be the last year of recession,” he said, urging Greeks to bite the reform of painful reforms now rather than later. The economy contracted by 4 per cent last year and is set to repeat the performance in 2010, but the latest Bank of Greece forecast was for modest growth next year. That idea has effectively been denied. The amount of social and political upheaval Greece has demonstrated it is not necessarily a recipe for Ireland. When Greece was forced to reform its social security system to lower benefits and increase retirement age, the event was marked by street protests. When Ireland announced it would raise the retirement age from 65 to 68, it passed without notice, as did its early slashing of Civil Service salaries by 20 per cent. That is partly because Ireland does not have a militant left wing (Greece has two communist parties) eager to break the stranglehold on power; and perhaps because it spent less of the past two decades of EU subsidies raising expectations that an uncompetitive economy could last. This article was published in the Irish Times on November 12. FT: The international community has postponed bank stress tests for Greece to give the country breathing space as Athens prepares to test the success of its European roadshow last week by raising more money in the capital markets. The so-called “troika” – the International Monetary Fund, European Commission and European Central Bank – has agreed with Greece’s central bank to delay testing the solvency of the country’s struggling bank sector by one month to the end of October. Greek truckers step up action. Conservative opposition leader Antonis Samaras says the government has lied about the necessity of the austerity measures now being implemented in a speech at the country's highest-profile trade event. FT: Greece’s finance minister has strongly rejected the idea that Athens will be forced to restructure its debts, saying that a default would break the eurozone. On a two-day visit to London, Paris and Frankfurt to convince investors that Athens has turned a corner in its year-long economic crisis, George Papaconstantinou told the Financial Times that a Greek default would spark selling in other so-called peripheral bond markets of Portugal and Ireland. Der Spiegel: Rarely has a man influenced the German public discourse as much as central bank board member Thilo Sarrazin has done with his book "Deutschland schafft sich ab" ("Germany Does Itself In"). In just two weeks, Germany has been hit by three waves of debate stemming from the tome. Criticism bordering on revulsion dominated the first wave of the reaction. Politicians and opinion leaders condemned Sarrazin almost unanimously. But then it slowly became apparent that many citizens agreed with Sarrazin. Der Spiegel: "The construction of Improvised Explosive Devices as well as home-made explosives, tragically, is quite advanced and sometimes even innovative. They know how to use off-the-shelf technology and use it effectively. That is why this symbiotic relationship between the many different groups is so important: Al-Qaida might have a particularly skillful IED maker who shares his expertise with other organizations. Another group might have effective skills in information technology that is passed on to others. There may be some who are good in false documents, again others in weaponry -- and they all share their knowledge, which all adds to our great concern. We're not talking about a threat to Afghanistan alone. It's a threat to the world. The attack on Times Square was not done by al-Qaida, it was launched by a Pakistani Taliban. 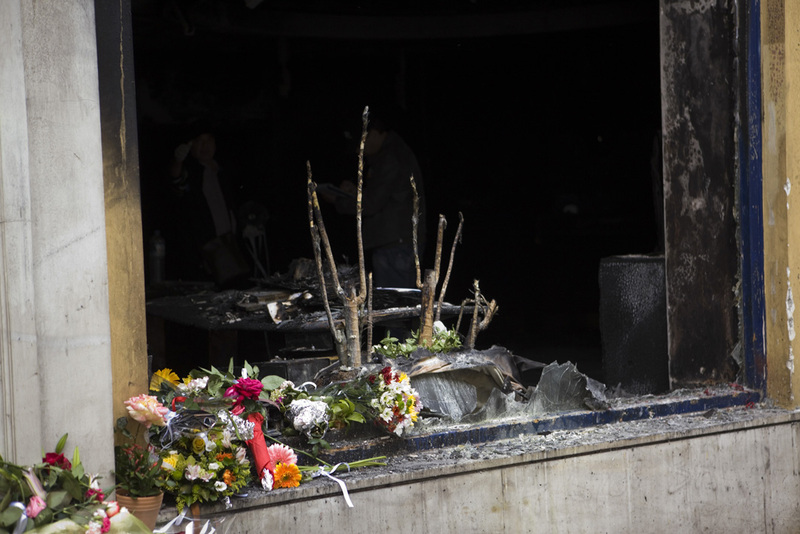 And other groups are carrying out or wanting to expand their own transnational attacks, too." The latest figures show that the Greek economy is not only shrinking; it is also showing no signs of reform and recovery in the medium term. According to the chamber of commerce for small manufacturers, bunkruptcies were twice as many as startups in the first eight months of this year - 2,076 against 1,088. Greece fell a further 12 places in the World Economic Forum's Competitiveness Index to 83rd out of 139 countries surveyed. The index combines a basket of 121 indicators of public trust in institutions, ease and security of the investment environment, efficiency of government and the judiciary, infrastructure, health, education, innovation, market sophistication and more. The head of JP Morgan's European interest rate strategy in London told Bloomberg that Greece may have to extend its loan from the EU and IMF by three to six years in order to avoid default, adding his voice to a growing chorus of economists who consider default inevitable. European Central Bank chief Jean-Claude Trichet argues that in future, if eurozone members break the rules on deficits the suspension of their voting rights in Brussels "should be explored". Norway's sovereign wealth fund has boosted market confidence in Greek bonds, and the bonds of other weak European economies, by stepping up purchases. Hellenic Telecommunications Organisation (OTE) chairman and CEO Panagis Vourloumis, who turned the company around in the last six years and saw it through a successful privatisation, has declared war on its powerful labour union. In a letter he sent to the head of OTE's labour leader on August 30, he says he seeks the abolition of tenure for OTE's 10,000-odd employees, a two-year wage freeze, abolition of seniority-based pay rises, and changes to the company's hiring and firing rules and disciplinary code. A Gainesville, Florida pastor who led a campaign to burn copies of the Koran on the 9th anniversary of the World Trade Center attack has "temporarily suspended" the event after a global outcry. The reason, he says, is that a planned islamic centre in the lower Manhattan area will now be relocated. FT: Turkey's reformist government is seeking to limit the power of the military futher, with constitutional changes that are turning into a referendum on the party itself. "The package presented to the electorate contains measures all parties accept, including limits on the powers of military courts. But there is no consensus on its core provisions, which give parliament more say in appointments to the constitutional court and the judiciary’s watchdog." Back door recognition for education? The ministry of education has submitted a bill to boost workers' marketability, which could especially benefit those with a non-state education. Graduates of universities in Europe and North America may not compete for public sector jobs, about one quarter of the job market, or enrol at a Greek university for posgraduate study. This is because Greece is the only European Union member not to recognise degrees issued by non-state universities and universities of other member states, owing to strong support within the ruling socialist party and the left wing parties for a constitutional guarantee of free higher education for all. An attempt to amend the constitution led to street protests and riots lasting weeks during the summers of 2006 and 2007. The Life-long Learning bill would create a point system for any type of degree, diploma or other certificate of learning acquired by an individual during the course of their life. The points accrued could be used to apply for public sector jobs. The government took a further step towards integrating non-state degree holders into the full economy in May, when it issued a presidential decree harmonising EU directives on professional qualifications. The decree states that a worker's profession is recognised by the state regardless of where their degree came from, as long as they are recognised in the relevant professional body. But there has so far been no movement under the socialist government, elected in October last year, to harmonise EU rules on mutual recognition of university degrees as academic titles. FT: US companies are going to have to disclose the precise difference between their corporate pay packages and average salaries, in a move bound to embarrass a great many executives. The new rule is part of an overhaul of the US financial system, the Dodd-Frank Act, passed in July. "S&P 500 chief executives last year received median pay packages of $7.5m, according to executive compensation research firm Equilar. By comparison, official statistics show the average private sector employee was paid just over $40,000." University of Chicago economist Raghuram Rajan argues that since the extension of easy credit by the US government and markets in an effort to extend the American Dream of home ownership to middle and low income households backfired, we should be wary of renewed attempts to bring about equality. "The problem, as often is the case with government policies, was not intent. It rarely is. But when lots of easy money pushed by a deep-pocketed government comes into contact with the profit motive of a sophisticated, competitive, and amoral financial sector, matters get taken far beyond the government’s intent." See How Inequality Fueled the Crisis. Economist: Ahead of its next plenarey meeting in October, the Intergovernmental Panel on Climate Change faces stiff criticism from a probe carried out by the umbrella group of the world's academies. "The report finds problems with the way the IPCC handles reviews of its work, the degree to which it shows fairness when considering areas that are disputed, and the way it communicates the certainty, or lack of it, wherewith it speaks." The Israeli and Palestinian leaders meet in Washington on Thursday for the ninth historical attempt to reach a peaceful settlement. But the Obama administration already faces a possible deal-breaking date. On September 26, Israel says it plans to restart settlement construction after the end of a moratorium. Palestinian PM Salaam Fayyad says "talks can and must" succeed. Iraq's former PM Ayad Allawi says "the environment is not right" for these talks to succeed. In an interview published as the US declares the official end of its combat presence in Iraq, he believes Iraq could still tip into chaos, with devastating results for the region. The country still has no government (Allawi is in talks with al-Maliki for a form of power-sharing) and its security forces are facing a resurgence in terrorism. America should rethink its police across the Mideast and Asia, says Allawi, because it is a failure from Palestine to Afghanistan. "Everybody is frightened. Every corner of the region is frightened. Even America is frightened, even Iran is frightened. We are heading towards a situation which almost compares to the Cuban crisis in 1962. There is an umbrella of fear spreading above us." US VP Joe Biden is in Iraq for the transitional ceremony in which the remaining 50,000 US troops will be baptised as supporting troops. 79.6 percent of Greeks declared themselves slightly or not at all optimistic about the country's immediate future in a GPO poll released by Mega TV station yesterday. 20.1 percent said they were optimistic. Even among Pasok voters the pessimistic proportion was 65 percent. About 44 percent of voters do not believe the government's claim that further austerity measures will not be necessary this year. About 55 percent of Greeks believe the measures will lead back to economic recovery, but just under 43 percent fear bankruptcy. Asked which party's policy they trusted most to resolve the economic crisis, 31 percent said Pasok, 13.4 percent said New Democracy and 39.5 percent said neither. The poll showed that Pasok had lost a couple of points of its support since April this year to come to 28.6 percent of the vote were elections to happen now, while ND stood steady at 21 percent. A new book by Thilo Sarrazin, a member of Detsche Bank's board, has sparked renewed debate in Germany about whether immigration is a good thing. Sarraziin argues that Germany's ageing population is being infiltrated by poorly educated Turkish labour. Many politicians have asked for Sarrazin's resignation. Ireland's banks will attempt to refinance 25bn euros' worth of debt in September, creating a test of whether they can do so at affordable rates. "Before the revolution Egypt’s schools and universities were few but their standard was excellent. The push to boost numbers came at the cost of a drastic fall in quality. Instead of following tested Western models, school textbooks were rewritten to emphasise “nationalist values”, scientific formulas and lists of facts rather than critical thinking. By the 1980s class sizes in government schools averaged more than 60. With student numbers in several big state universities up to six-digit figures, hundreds, even thousands of students were packed into lecture halls. Some of the better staff emigrated to Gulf countries, where salaries were many times higher. Those left behind began to exploit an obvious market opportunity, offering private lessons on the side. This practice became so pervasive that by 2005 some 64% of urban students and 54% of rural ones resorted to private crammers in addition to regular schooling, according to Egypt’s Human Development Report. A 2002 World Bank study found that private tuition accounted for fully 1.6% of GDP, and other studies suggest it devours a whopping 20% of household spending in families with school-age children. A big reason why families are willing to spend so much is that the education system relies heavily on national exams, not only for rating students but also for placing them in the various faculties of the state universities that still account for 95% of college enrolment. Since the 1960s these have been ranked by prestige, with medicine and engineering accepting only the highest-scoring students. The humanities, including law and education, are left with the dross. In effect, this creates a tyranny of exams largely based on rote learning. It forces unhappy students into disciplines they would not have chosen for themselves and produces a chronic imbalance between the skills of graduates and the needs of the marketplace. Egypt has a surplus of would-be lawyers, slapdash engineers and scarcely numerate accountants but few trained librarians, architects or actuaries." The similarities with Greece's education system should be obvious, and worrying. There is the tyranny of after-school frontisteria, which sap household incomes and belabour students. There is the rote learning and lack of critical thought seen in Greek high schools and universities. There is the vast class size. There is the cascading placement system, which puts university entrants in disciplines not of their choosing. All these are the hallmarks of a centrally controlled, politicised education system that does not tend towards excellence. This year the socialist government enormously broadened the university intake by abolishing the 50% pass grade established by former education minister Marietta Yiannakou in 2006. There are good reasons for this. Greece is in recession (the economy contracted by 3.5 percent in the second quarter, year-on-year, according to Bank of Greece figures released this week), and putting young people in study for four years (the minimum duration of a Greek Bachelor's degree) is a way of keeping unemployment figures a bit lower than they might otherwise be (officially they are topping 12.5 percent). A similar broadening is happening elsewhere. In Britain, for instance, the number of students eligible for 'clearing' - late placement in courses that were not a student's first choice - is up by 48,000 this year to 182,000. But in the effort to place as many applicants as possible, the Greek system has plumbed new depths. The lowest-achieving entrants to the university system scored 2.3 out of 20, and to technical colleges 0.9 out of 20. The dilemma for the public higher education system is therefore starker than ever. Are they a political instrument fulfilling a constitutional pledge to provide free higher education or are they competitive institutions improving Greek society and its economy with every passing generation? Will Greece's universities remain politically controlled, their intake dictated by government quotas, or will they be released from the state and allowed to compete with the rest of the world? There are concomitants to that state control. If the university system is not allowed to be more autonomous and accountable, it will be difficult for it to acquire transparent academic and financial management, because academic and administrative appointments come with party political backing - as do some student transfers. Public education should not serve the interests of whichever political party is in power. The current socialist policy of broadening the intake is understandable in the interest of social stability in a recession, but ultimately an enlightened government must plot a course of radical reform and face the unions and other deeply vested interests that will fight it, even though their students will be used as hostages. Petrol stations across Greece are closed because they have no petrol to sell. Haulers parked their trucks on Sunday, and then blockaded refineries so that even privately owned tanker fleets couldn’t deliver. That has brought panic at the pump, just as Greeks are poised to go on their summer holidays. The government is now ordering truckers back to work. If they refuse, their trucks could be confiscated and driven by the army – an emergency measure not implemented in a generation. But the truckers say they will not back down down. The dispute began after the government said it will make trucking licenses free within three years, to introduce more competition. New trucking licenses have been frozen for a decade under pressure from the union, but Greece has committed itself to competitive measures in an agreement with the EU and IMF, which are keeping the country solvent. Terrorist organisation Revolutionary Sect has claimed responsibility for the assassination a week ago of a journalist at his home. Revolutionary sect says it targeted Sokratis Giolias because of his blog posts insulting urban guerrillas and the anarchist movement. Giolias had written a condemnation of terrorism after a bomb left outside a government building killed a 15 year old Afghan passer-by earlier this year. He had also allegedly humiliated anarchists after an attempt to burn down his internet news service headquarters. 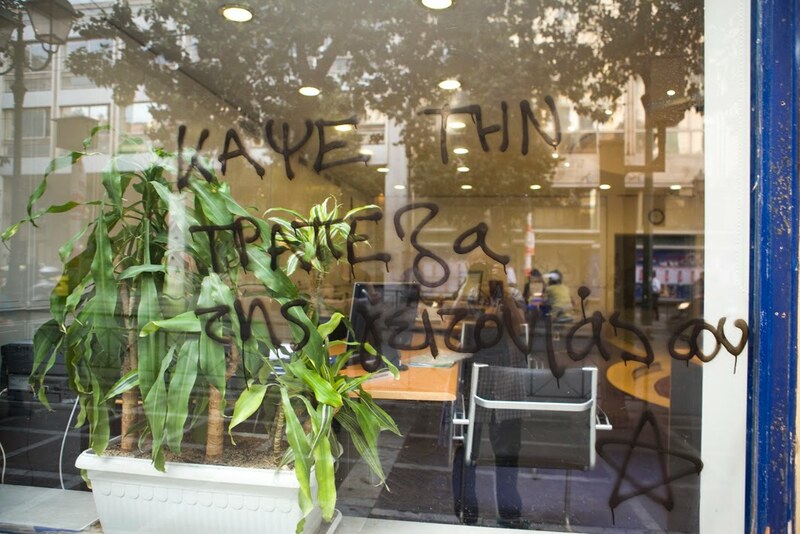 Revolutionary Sect launched itself in February last year with an unsuccessful Oklahoma City-style attempt to destroy a Citibank building in Athens. Its inaugural proclamation said the group’s targets would include journalists it deemed to be in the pocket of big business. As artistic movements come and go, so do political ones. Greece is currently venting a torrent of frustration that has made the rounds of international media. We could call it Greek Expressionism. It is a self-indulgent and politically motivated attempt to preserve the uncompetitive status quo of a spoonfed economy. At the same time, it is an outpouring of righteous anger by honest middle class workers who are struggling to keep their children middle class and are fed up of being lied to by governments who mismanage their taxes. When Pasok came to power last October the mood was quite different. There was a measure of optimism that, despite the demoralisation and empty coffers, an ambitious government peopled by a new generation of ministers and led by a not-altogether-Greek premier might pull the nation out of the comeuppance of all-too-Greek habits. The government decided to tell its European partners a shocking truth: that its 2009 deficit would be in the order of 12.7 percent of GDP, not the 5.7 percent announced after the election. European Union finance ministers erupted in indignation, and spent the rest of 2009 telling Greece to cut its deficit. A first slate of public cost-cutting announced at the time was made more severe in an EU-doctored stability plan in January. Public sector jobs lost some of their sheen for the first time in living memory. But by then, international markets had already taken the situation out of the hands of governments. The Greek bond was reduced to junk status and carried an interest rate so high as to be prohibitive. In early February Greece asked the EU to cobble together a financial safety net the mere existence of which would hopefully be enough to calm markets. The EU argued about whether spendthrift states should be bailed out by responsible ones. By the time it had agreed to the safety net in principle on March 25, markets were unimpressed. The announcement of specific pledges the following month amounting to 45 billion euros provided an ephemeral boost. On April 23 Greece asked for the terms of the package, signalling that it would make use of it. On May 2 the government announced those terms to an already frightened public, leading to the largest protest in decades three days later. Anger against banks spilled over. A Marfin Popular Bank branch was torched, killing three employees. The socialist government of Yiorgos Papandreou faces multiple problems – ideological, demographic and political. First, it cannot behave in a classically socialist manner. The handout economy that enabled the public sector to swell to roughly 50 percent of the economy today is over. Pre-election rhetoric about reversing privatisations was quickly forgotten. The Hellenic Telecommunications Organisation privatisation has been left in the hands of Deutsche Telekom. Olympic Airways, recast as Olympic Air, is still Marfin-owned, despite the lack of funds to pay severances to employees who agreed to go. The long-term lease of a container terminal to China Ocean Shipping Company (Cosco) was briefly disputed, then adhered to. Social policy rhetoric has also been toned down. A 2008 law stiffening social security was not repealed; on the contrary, a new bill will raise the retirement age and reduce payouts. A pledge to top up pensioners penalised by splitting their contributions between different funds has been dropped. Some of Pasok’s ideological platform made it through. The government eked out a one-off recession handout to the poor before the end of 2009. The tax scale was recalibrated to penalise higher earners and absorb flat-tax professions. But the halving of the tax-free threshold to 6,000 euros (in the absence of sales receipts) and the raising of Value Added Tax (sales tax) by four points have flattened notions of social justice for the poor, leaving Pasok more vulnerable to left-wing accusations of being an ideological impostor. Pasok’s turnaround was nowhere clearer than in its implementation of an election promise to give civil servants a pay rise, followed by a slashing of benefits and bonuses. Parties can ultimately survive even the most dramatic changes of ideology as circumstances demand. But Greece’s demographic problems are severe and difficult to reverse. The worst is the declining productivity of the population. According to the General Confederation of labour (GSEE), the largest grouping of private sector unions, the active workforce comprises only 4.5 million out of Greece’s 11 million people. One million of those workers are on the public payroll, and at least half a million are unemployed (officially 12 percent). This means that three million workers or fewer are generating the productive income that carries the other eight million. Given Greece’s negative population growth, legalising immigrants on the basis that they work and pay into the system increasingly seems like the only way to keep this problem at bay. Concerns about moral justice aside, this may have been a large part of the rationale behind this year’s revolutionary immigration law, which for the first time gives citizenship to the children of legal immigrants. If it were a society that paid its way, these demographics would render Greek living standards akin to those of an eastern European country. As it is, Greece seems prosperous. That is because of three things. The deregulation of banking and membership in the euro lowered interest rates and boosted private borrowing. For a while, Greeks spent money they did not fully realise they would have to pay back and pushed up inflation in the process. Governments did worse, leveraging the economy to a very high degree and borrowing close to 300 billion euros, a national debt that will, at its peak, amount to one and a half times the size of the economy, the European Commission predicts. And European Union subsidies continue to pour into the country, boosting GDP by an estimated percentage point. All three of these sources of wealth are now drying up. The country cannot afford to roll over old debt, let alone borrow new money. Banks have tightened the money supply to the private sector and consumers. And European Union subsidies will be sharply curtailed after the current financial period runs out in 2013. There will be less money from net contributors such as Germany, and newer, poorer member states will want to claim a larger share of it. Farmers used to living off EU money will simply go bust and sell the family land in a last-ditch effort to change profession, or become workers on corporate farms. Under ordinary circumstances, Greece could plan to grow its way to a healthier economy by boosting competitiveness and exports, and spending more government money to cushion economic reform. With the world in recession and credit unavailable, it needs to reform a shrinking economy even as the government shrinks, enduring two forms of pain at once. Devaluing the currency to boost export-driven growth is not an option while Greece remains in the euro. Departing from the euro would lead to such a large devaluation (about 30 percent, former Prime Minister Kostas Simitis recently estimated), that savings would be wiped out and the debt, calibrated in euros, dollars and yen, would skyrocket overnight. The only options left to Papandreou’s government are therefore bold ones. But here enter the political problems. Greece has a powerful left wing. Together the Communist Party (KKE) and its offspring, the Left Coalition, garner 12 percent of the vote. Together with the civil servants’ union (ADEDY) and GSEE they can mobilise tens of thousands on the streets and largely dictate the political climate. The opposition conservatives are in the throes of internal redefinition after a humiliating defeat at last October’s polls. Rather than forging a consensus position with the government, they are distancing themselves as much as possible. Thus the austerity measures passed by Papandreou on May 9 received support only from the right wing minority party, Popular Orthodox Rally (LAOS). The left lives in a separate vision of reality. The KKE wants Greece to abdicate from membership of the EU, NATO and the capitalist free market. The left and the unions have fought for the status quo and fought economic reform, privatisation and liberalisation for over a decade. But the conservatives have no excuse for undermining socialist efforts other than revenge. Can such an isolated government maintain social cohesion and a political majority while eliminating the deficit and reforming the economy? Seen through the eyes of television networks, Greece seems to be falling apart. But the lens can be misleading. Vandalism makes for good footage, but television does not put that picture in its correct perspective. Greeks are indeed unhappy about the recession and want their politicians to be more accountable, but the majority are not about to overthrow the government by putsch, let alone suspend the constitution. Papandreou needs to calm Greek society as he has sought to calm markets. He admirably faced the opposition with its share of responsibility on the day the three bank workers died, saying that extreme language lays the groundwork for extreme actions. Despite its troubles, Greece maintains an admirable freedom of expression, in contrast to the violent treatment of anti-capitalist protesters in Seattle (2000) and Genoa (2001). And despite realising too late how much had to be done to curb the deficit, the government has stuck to its guns and kept its nerve – more than can be said for the Karamanlis administration. The challenge ahead is to focus on development and new growth while sticking to the agreed spending cuts. Many economists are pessimistic about whether the plan can work. Growth cannot come for at least a couple of years, they say, by which time the EU-IMF money will have run out, and Greece will again be faced with market reality. But Greece has shown that it can rebound very quickly from economic disaster, especially with outside help. A liberalised economy boomed in 1950-1955 thanks in part to the Marshall Plan. Liberalisation and outside assistance can work again. Then, as now, Greece had to contend with a defeated and disgruntled left clinging to a discredited ideology. Capitalism will have to prove itself through success coupled with social justice. Against these, the KKE’s apocalyptic ramblings can do little. Through all this, Papandreou must work towards greater political transparency – one of the main planks of his election platform. If money has been misappropriated, this has been done by elected governments. Greek voters no longer feel it is enough for them to have a say once every four years. Papandreou’s promise to put government procurements online is in the right spirit. If he also gives parliament’s audit committee greater power to investigate the finances of parties and politicians, he may sufficiently frighten the political system into behaving, and surviving. Greece is paralysed by another general strike today, affecting the public and private sectors. Unions are protesting against austerity measures adopted on May 9 to cut the deficit by about ten billion euros this year. On strike are civil servants, most public transport in Athens, rail, local and regional government, public school teachers and academics, customs workers, passenger shipping, pension funds, banks and many private sector workers. Athens International Airport is remaining open, though Olympic Air has unilaterally cancelled some flights. The government estimates that it is owed 25 billion euros in tax arrears and fines, says the finance ministry's man in charge of tax collection. Dimitris Georgakopoulos, General Secretary for Tax Revenue and Customs, told an open meeting of Athens and Peiraieus chambers of commerce yesterday that the sum is equal to about 40 percent of budget revenues. The government's austerity measures, in contrast, aim to curb about 10 billion euros in public spending this year. Green Europarliamentarian Daniel Cohn-Bendit has called on European Union states to stop making money from Greece's misery, as he describes it. He told Europarliament that selling European arms to Greece and lending it money at a markup amounts to profiteering. He called on leaders to set up a European Monetary Fund and give Greece time to massage in reform rather than rush it through. The speech was made on May 5, the day three Greek bank employees died in a fire set by anarchists on the sidelines of a protest march. See the video with Greek or English subtitles. Deputy Culture Minister Angela Gerekou resigned last night after newsapers revealed that her husband, former singer Tolis Voskopoulos, owes 5.5 million euros in taxes, Greek media report. "Today's news articles refer to my husband's pending legal tax case which stems from long before our personal acquaintance," she said in a brief statement. "I could never allow my husband's case to form a basis for blunt accusations against against the government and premier, especially at this exceptionally difficult time," she said. Gerekou is the socialist government's first loss after almost eight months in power, and demonstrates a newfound political sensitivity to tax arrears after waves of austerity measures this year. Also remarkable is the fact that the tax arrears were revealed by a nominally pro-socialist newspaper, Eleftherotypia. Turkish Prime Minister Recep Tayyip Erdogan is in Athens today to discuss and sign more than a dozen agreements on economic, environmental, cultural and economic co-operation. A press conference is scheduled for the late afternoon. Best news item yesterday: A hypoglycemic man fainted behind the wheel of his jeep during his morning commute. He crashed into a patisserie. Tour guides and guards on the Acropolis are on strike today, Thursday. Also on strike are tug boat operators and pilots in the port of Peiraieus. This caused the cruise ship Musica an alleged three-hour delay in tying at port this morning, delaying a shore excursion to Athens monuments (some of which, as previously mentioned, are inaccessible). A nationwide strike has been declared by public and private sector unions for next Thursday, May 20. Athens is bracing for another rally by private and public sector workers on Wednesday evening, and further strikes may be announced before then. Adding to the ire of unionists and opposition leaders is a social security reform bill announced on Monday, a day after deeply unpopular public expenditure cuts were voted through parliament. The social security bill will reduce pensions for some categories of workers and raise the retirement age for those entering the workforce after 2015. Opposition parties have called it a dismantling of the social state put in place over the last three decades. Greece was set to ask for the release of 20 billion euros of an EU-IMF safety net on Wednesday, reports said. 14.5bn would come from the EU, while 5.5bn would come from the IMF. There were preliminary reports from parliamentary correspondents on Tuesday evening that the government is also proposing to stiffen the Audit Committee, which oversees MPs' tax returns. Five MPs currently sit on the committee, and there is allegedly a proposal to replace them. The understanding is that this would remove any collegiate sentiments on the committee towards transgressing MPs. The oversight of parliamentary deputies' tax returns is a the key point of political accountability. Another is the immunity from prosecution enjoyed by MPs. Yet a third is a law limiting the liabilities of cabinet ministers to five years after they leave office, or the end of the second parliamentary session following an election, whichever comes sooner. Political observers and constitutional experts have long decried these as creating a double standard. Following Greece's effective bankruptcy and the financial scandals attendant upon the last government, there is more pressure than ever on the political system to change. Transparency was a key election promise made by the socialist party last September. It had also been the main plank of a platform that helped elect the conservative party in March 2004. "The prospect of bankruptcy has not become any more distant," said President of the Hellenic Federation of Enterprises Dimitris Daskalopoulos in an address to the annual general meeting of the private sector's leading body today. "The political system will face a survival test," he added. In a blunt broadside against the political system, he accused parties and politicians of resisting change because they are lining their pockets with taxpayer money. "They feel that a smaller state... would shrink their power and privileges," he said. "The political system is called upon to surpass itself. If it does not change, it will become obsolete." Greek parliamentary democracy was restored 36 years ago this July after a seven-year dictatorship. This is a period known as the meta-political period, or metapolitefsi. Daskalopoulos said we are "witnessing the disintegration of the metapolitefsi, which is characterised chiefly by political clientelism, fiscal indiscipline, endemic corruption and the populism to which our parties are wont." Despite the national nature of the crisis Greece faces, the ruling socialist government is almost completely isolated in the three waves of public cost-cutting it has so far voted through parliament, and in the reforms it proposes. Conservative opposition leader Antonis Samaras said on Monday he refused to back the latest socialist austerity package, a condition of the EU-IMF support package, because the government would not rescind a law that grants citizenship to the children of legal immigrants, or back down from a plan to reduce local governments by two thirds. Samaras said he also demands more support for the poor and more emphasis on development rather than public cost-cutting. Follow The New Athenian's chats over satellite with CBS's Katie Couric and PBS's Judy Woodruff. Are unionists and politicians giving anarchists the nod? Eye-witness reports are emerging through the media today about the behaviour of the 'peaceful' marchers outside the torched Marfin Popular Bank building yesterday. When several violent protesters smashed the bank's windows and hurled in molotov cocktails, a cheer rose from the crowd, say witnesses. Later, as the first fire engines tried to approach, they were met with a hail of stones. Certainly, march leaders were bent on pushing the protest past the burning bank building yesterday even as the fire brigade struggled to rescue trapped people, as though the success of the march were on a par with the lives that were at stake. These circumstances suggest two things: that the violent protesters meant harm to the people inside the bank, and obstructed the timely extinction of the fire; and that the trumpeted divide between legitimate political expression and criminal anarchy is eroding. To his credit, Prime Minister Yiorgos Papandreou told parliament last night that all parties were responsible for the political climate. Violent expressions provide a basis of legitimacy for violent acts, he said. The conservative opposition has said that it will neither support nor obstruct today's bill instituting the austerity measures tied to the EU-IMF package. In other words, conservative leader Antonis Samaras understands that now is not the time for populism, but he is leaving his options open. However, it is doubtful whether the prime minister's call for responsibility will have much effect on union leaders and communists. Union leaders in Greece are cut from a populist cloth. As far as they are concerned, labour and capital are natural enemies. The communists, divided between the Communist Part of Greece and the Left Coalition, have spent the last 35 years as plaintiffs for their post-civil war persecution, and are determined to have their day. They know they will never seize power and will allow themselves to speak and act as eternal sophomores. On the basis of just 12 percent of the popular vote in last October's election, they will have a disproportionate effect on the political climate, as they always have done. Papandreou controls parliament, but they largely control the streets. The rhetoric against banks is directly related to the anti-capitalist sentiments of the left, and so is the persistent violence that takes place against them on the fringes of popular rallies. Yesterday's torching of a bank full of people was the culmination of hundreds of exercises in window smashing, the driving of crowbars through ATM screens and the torching of closed branches over the past few years. Which way will Greece go? There is no option but to follow through on the IMF-EU package. It offers Greece a top interest rate of 5 percent over the next three years, which is less than half what it would pay on open markets today. But how the government implements the concomitant austerity can, to a large extent, determine the success of the outcome. Two women and a man were killed in a bank in central Athens today after rioters set their building alight on Stadiou, a major avenue leading to parliament. Protesters marched past the building chanting slogans against the government, as smoke billowed out of second storey windows and firemen struggled to lower two women trapped on a balcony, their eyes wide with panic against smoke-blackened faces. “The fire is out, everything’s ok here. Move along,” shouted a communist party functionary employed to shepherd the protest to parliament. The marchers pushed through the one lane left open beside nine fire engines that lined the bank. A block away, near Athens University, violent protesters ripped the marble facing off buildings, smashed it and hurled the pieces at police, who responded with teargas and stun grenades. The air was made even more acrid by burning plastic rubbish dumpsters and wooden benches. Peaceful marchers approaching parliament were turned back by bursts of teargas, and dived into public fountains to relieve the sting. Hotels and retail businesses rolled down steel shutters to protect themselves from damage. Those who didn’t suffered. Ianos, a large bookstore, had its plate glass windows smashed with crowbars. The protests embellished a one-day strike by the country's biggest unions against a new wave of austerity measures announced by the government on Sunday. Those measures vastly reduce seasonal bonuses from the salaries of civil servants and pensioners, and raise consumer taxes. They are the third wave of spending cuts announced this year and were a condition of a 110 billion euro bailout of the Greek public sector by the Eurogroup and the International Monetary Fund. The government has pledged to trim spending by 30 billion euros over three years, and reduce a 2009 deficit of 13.6 percent of GDP to 3 percent by 2014 - two years later than it originally planned. Just over 10 billion euros’ worth of those cuts are planned for this year. In theory, Greece must be creditworthy enough to borrow from financial markets again sometime in 2012, when the bailout money will run out. But the government is treading a tightrope between social unrest and bankruptcy. It cannot spend the bailout money without economising, or it will not have time to reform and revive an uncompetitive economy. Spending cuts, on the other hand, help drive the Greek recession. Contraction was 2 percent last year and is forecast to double this year. The pain of austerity is being unfairly passed on to workers, say the unions. They marched to parliament today with slogans like "Get out IMF" and "No to the dictatorship of the markets" - the last a reference to Greece's inability to affordably refinance debt in financial markets because of the precipitous fall in its creditworthiness. "Every citizen has the right to protest, but no one has the right to violence - particularly the violence that leads to the murder of our fellow men," said Prime Minister Yiorgos Papandreou in an address to parliament late on Wednesday. He pledged to track down the perpetrators. While he did not blame unions and the communist party for the deaths, he did blame them for creating an inflammable environment. "You know well that the statements made in the last few days did not help - that the country is under a dictatorship or that the constitution is somehow in doubt. You know how much these words legitimise violence." The communist party said the killings were deliberate acts of provocation aimed at framing it and marginalising it politically. The three victims were identified as Paraskevi Zoulia, 34, Angeliki Papathanasopoulou, 32, and Epameinondas Tsakalis, 38. The strike largely brought Athens to a standstill. Its international airport has ceased all flights and ships are tied at harbour. Central and local government are closed, as are hospitals, schools and universities. Even privileged private sector professions such as lawyers and journalists went on strike, though the journalists’ union lifted its broadcast ban following the three deaths. Public transport worked a 6-hour day, largely to ferry protesters to and from the centre. The strike began on Tuesday before broadening today. Civil servants were off the job. Contract teachers besieged the education ministry in protest at the expected reduction in hiring this September. A separate group was protesting outside the Athens University downtown campus with banners and loud music. Representatives of PAME, the Commuist Party of Greece union arm, unfurled two giant banners from the walls of the Acropolis reading “Peoples of Europe Rise up”. The General Confederation of Labour, the country’s largest private sector union group, calls the 5 percent interest rate charged to Greece by the Eurogroup “usury”, despite the fact that Greece would today borrow at more than twice that rate from money markets. See this article in the Irish Times. See the live report on the PBS News Hour. while demand is going to be sucked out of the Greek economy through a three-year pay and pension freeze, together with a big jump in VAT, there is unlikely to be a pick-up in exports to compensate. Instead, the slump will deepen. Greece, without the benefit of stronger growth, will be unable to meet its ambitious targets for reducing the deficit, which in turn will lead to demands for even deeper budgetary cuts, which will weaken demand still further. That is not a recovery plan. It is an economic death spiral. Greek prime minister George Papandreou has vowed to push through draconian economic measures demanded as part of a €110bn rescue package for his debt-burdened country despite the death of three people during demonstration. “The Greece issues are raising concerns about the health of the financial system globally and slowing down the flow of money in markets,” said Ayako Sera, a strategist at Tokyo-based Sumitomo Trust & Banking Co., which manages $300 billion. It is hard to believe that Greece can avoid debt restructuring. First, assume, for the moment, that all goes to plan. Assume, too, that Greece’s average interest on long-term debt turns out to be as low as 5 per cent. The country must then run a primary surplus of 4.5 per cent of GDP, with revenue equal to 7.5 per cent of GDP devoted to interest payments. Will the Greek public bear that burden year after weary year? Second, even the IMF’s new forecasts look optimistic to me. Given the huge fiscal retrenchment now planned and the absence of exchange rate or monetary policy offsets, Greece is likely to find itself in a prolonged slump. Would structural reform do the trick? Not unless it delivers a huge fall in nominal unit labour costs, since Greece will need a prolonged surge in net exports to offset the fiscal tightening. The alternative would be a huge expansion in the financial deficit of the Greek private sector. That seems inconceivable. Moreover, if nominal wages did fall, the debt burden would become worse than forecast. The crises now unfolding confirm the wisdom of those who saw the euro as a highly risky venture. These shocks are not that surprising. On the contrary, they could have been expected. The fear that yoking together such diverse countries would increase tension, rather than reduce it, also appears vindicated: look at the surge of anti-European sentiment inside Germany. Yet, now that the eurozone has been created, it must work. The attempted rescue of Greece is just the beginning of the story. Much more still needs to be done, in responding to the immediate crisis and in reforming the eurozone itself, in the not too distant future. It follows, then, that a debt restructuring wouldn’t help all that much — not unless you believe that getting forgiveness on much of Greece’s existing debt would make it possible to take on substantial new debt, which doesn’t seem very likely. The point is that the only way to seriously reduce Greek pain would be to find a way to limit the costs of fiscal austerity to the Greek economy. And debt restructuring wouldn’t do that. Bank of Greece Governor Yiorgos Provopoulos tells Skai television that Greece's political leaders knew the extent of the deficit since before the 2009 election; that leaving the eurozone would be sheer folly for Greece; and that since Greece entered the euro in 2001, not once did it achieve the required three percent deficit threshold. Government expenditure climbed seven points between 2001 and 2007, Provopoulos revealed, but governments did nothing to forestall high deficits because the economy was growing sufficiently quickly to overshadow the problem. Contract teachers were besieging the education ministry this morning in protest at the expected reduction in hiring this September, against the social security cuts and against the austerity measures announced by the finance minister on Sunday. A separate group was protesting outside the Athens University downtown campus with banners and loud music. Representatives of PAME, the Commuist Party of Greece union arm, unfurled two giant banners from the walls of the Acropolis reading "Peoples of Europe Rise up. Civil servants are on strike today and tomorrow. The civil servants' union will be joined by the General Confederation of labour tomorrow, leading to a standstill for a number of services including ministries, banks, lawyers, journalists, local government, Athens International Airport, pension funds, hospitals and schools. Public transport will operate from 10am to 4pm. The Greek government has announced that it is undertaking a new round of painful cost-cutting and restructuring measures in response to a three-year bailout jointly sponsored by the European Union and International Monetary Fund. The prime minister and finance minister made the announcement on Sunday morning after securing a three-year financial safety net amounting to 110 billion euros. They are billing the joint EU-IMF bailout as the biggest in history, and in response have launched what Finance Minister Yiorgos Papakonstantinou called the most ambitious fiscal adjustment ever undertaken by a European country. The gambit is to eradicate a 30bn euro deficit over the next three years – no small feat for an economy like Greece’s, now over 300 billion euros in debt. The government will raise consumer taxes and reduce public sector salaries for the second time this year. Easter, summer and Christmas bonuses, normally amounting to two extra salaries, are being reduced to flat payments totalling 1,000 euros. Above salary benefits, already cut by 10 percent, are being slashed a further eight percent. In a social security bill to be announced separately, Easter, summer and Christmas pension bonuses will also become flat sums and the retirement age raised. On the positive side, the transport and energy markets are to be liberalised in order to create new growth. Both liberalisations have been mandated by the European Union and are years overdue. The finance ministry is also promising to simplify procedures for setting up a business. The government says it will not back down in the face of protests against these measures, but will ignore their political cost, because the choice Greece faces is between salvation and annihilation. See the Financial Times article. ...Three things are required if the eurozone is to survive in the medium term: a crisis resolution system, better fiscal policy co-ordination, and policies to reduce intra-eurozone imbalances. But this is only the minimum necessary to get through the next few years. Beyond that, the eurozone will almost certainly need both an embryonic fiscal union and a single European bond. I used to think that such constructions would be desirable, albeit politically unrealistic. Now I believe they are without alternative, as the experiment of a monetary union without political union has failed. The EU is thus about to confront a historic choice between integration and disintegration. The Greek fiscal problem has been turning into a death spiral, in which fear of default is driving up borrowing costs, making default even more likely. The EU has now, in effect, given up on trying to restore market confidence; instead, it’s going to break the death spiral by main force, providing Greece with all or almost all the financing it needs directly, at an interest rate much lower than the market was demanding. This is a day of humiliation. It was never envisaged that a eurozone country would need bailing out. Today the EU had to launch one of the biggest financial rescues ever attempted. What the plan does do is to buy time and to shelter Greece from the fierce winds of the markets. What it doesn't do is to answer the questions of whether economies so fundamentally different as Greece and say Germany can be part of the same monetary union. If Portugal comes under intense pressure, contagion might then spread to Ireland, Italy or Spain, the other euro-area countries with some mixture of big budget deficits, poor growth prospects and high debts. Only swift and decisive action by the leaders of Europe's big economies is likely to head off the current crisis. Default by a smaller member such as Greece would be a body blow to the euro's standing but it need not spell the end of the currency. However, that might not be the case if the problems spread further afield. Greek unions are planning more strikes and protests in reaction to a new austerity package widely expected to be announced today. It is thought that a package of austerity measures would be a condition for the activation of the 100+ billion euro financial aid package lined up by the Eurogroup and the International Monetary Fund. Representatives of the IMF and EU left Athens on Tuesday after a few days of consultations with the government. Local media have reported a series of Drakonian measures said to be included in the package. Among them is the complete severance of Easter, summer and Christmas bonuses in the public sector, amounting to two extra salaries a year. The government already trimmed these by 30 percent in the last austerity package, announced in early March. Their complete removal would be a historic irony, as they, along with much of the welfare state, were introduced in the early 1980s by then prime minister Andreas Papandreou, father of current Prime Minister Yiorgos Papandreou. There could be more public sector pain in a further reduction in above-salary benefits. These are awarded for rank, length of service, educational level and children, among other things, and can as much as double nominal salary. The government already trimmed benefits by 10 percent this year, giving rise to four one-day strikes in the civil service. Also allegedly planned is the abolition of Easter, summer and Christmas pension bonuses in both the public and the private sectors, since the state underwrites pension funds in both. A further hike in VAT could be on the cards, despite a 1-2 point rise earlier in the year that has now begun to come through in retail prices and utility bills. Indirect taxes, though unfair on the poor, are an attractive option for the government because Greeks are notorious evaders of direct taxation. Greek governments raise only about 2.5 billion euros a year through direct taxation on individual income, compared to tens of billions from VAT. The head of the largest private sector union group, the General Confederation of Labour (GSEE), said its answer would be delivered “on the streets”. But the head of the Greek Economic and Social Committee, a former head of GSEE, said the measures were tough but would have to be fought through. Organised labour is polarizing opinion through what some see as its excesses. Last Wednesday, a group of communist party activists and passenger shipping unionists harassed passengers attempting to board their cruise ship, the Zenith, in Piraieus harbor. In response, the ship’s operator, Spanish-based Pullmantur cruises, announced it will withdraw the ship from Greek waters. The Association of Greek Tourism Enterprises estimated the loss at 10 million euros and 400 jobs this year. Tourism is Greece’s biggest industry, amounting to 20 percent of GDP. Yet strikes are set to intensify over the short term. A number of labour groups went on strike on Mayday, and journalists are walking off the job next Wednesday. Greece has become the first eurozone economy to ask for an emergency financing package from the European Union and International Monetary Fund. The Greek government today officially asked European partners to activate a 30 billion euro mechanism set up for the country a month ago. Prime Minister Yiorgos Papandreou described the financial aid as “a national and urgent necessity”, a safe harbour in which Greece could rebuild its ship with sound and lasting materials. The government’s real goal, he said, was long-term reform of a flagging economy. But the country’s lack of credibility in money markets was sapping the time in which to carry this out. Imminent reforms in social security and the labour market are already raising hackles. Greece suffered a triple whammy yesterday, resulting in the highest borrowing rates for the most beleaguered European economy in twelve years. Eurostat, the European Union’s statistical agency, upwardly revised Greece’s 2009 deficit to 13.6 percent of GDP, almost a point above the previous estimate of 12.7 percent. That suggests that Greek efforts to reduce the deficit by four points this year will not set as promising a course as previously thought towards eliminating the deficit by 2013 as promised in the Stability and Growth Plan. The second blow was a downward revision of Greek bonds from A2 to A3 by Moody’s Investment Service. Moody’s took Greek bonds down from A1 status only last November – a precipitous rate of decline. The third blow to the economy was a one-day strike by an estimated half million public sector workers, that brought ministries to a standstill. Public universities and polytechnics barely opened, public hospitals operated on a skeleton staff, and passenger shipping workers walked off the job, bringing the main Athenian port of Piraieus to a complete standstill. Shipping workers are planning more one-day strikes next week. Civil aviation workers decided to stay on the job to help clear a backlog of travellers stranded on account of Icelandic volcanic smog-related travel restrictions. Greek spreads on the ten-year bond rose to a high of 622 basis points, a rate not seen since 1998, four years before Greece adopted the euro, and were hovering at roughly 537 basis points as this post went online. That effectively put the rate at which Greece would have borrowed yesterday above 8 percent. Greek policymakers believe that cost to be prohibitively high. Last week Prime Minister Yiorgos Papandreou asked the European Commission to explain the terms on which Greece might borrow some of the 30 billion euros its eurozone partners have earmarked as a financial safety net. The EU has promised a rate of 5 percent. Yesterday’s strike was organised jointly by the civil servants’ union and the communist party to protest against an austerity plan announced in March. They want the government to restore bonuses axed from a million public sector workers, and to shore up social security rather than slashing it. The Government has recently said it will introduce legislation to lower its share of the cost of pensions, estimated to rise to a quarter of GDP by the middle of the century. The unions are also unhappy about legislation to telescope local governments from just over 1,000 to 366, resulting in about 15,000 layoffs of contract workers at the end of the year. The General Confederation of Greek Workers, the country’s biggest umbrella grouping of private sector unions, is also unhappy with the path of austerity and reform. It says the official unemployment rate of 11.3 translates into a real unemployment rate of 17.5 percent once undeclared unemployment and underemployment are factored in. Greece yesterday requested the opening of talks on activation of a financial safety net created at its behest last month by eurozone partners in collaboration with the International Monetary Fund. The move came after a dramatic rise in Greek bond spreads that peaked at 426 basis points, coming dangerously close to the historic high of more than 450 points reached on April 6. Greece had evidently hoped that the very existence of the safety net would guarantee it against default on existing loans, and encourage markets to refinance its debt at viable rates. But upward market pressure continued even after eurozone partners and the IMF announced specific pledges to the plan amounting to 45 billion euros this year. A Greek government plan will cut top ups to pensions over 1,400 euros as soon as this November, and limit basic pensions to under 360 euros a month by 2018, reveals a Greek newspaper today. In other details leaked by Kathimerini, which is in apparent possession of a version of a bill to be presented to European finance ministers on April 26, top pensions may come down by as much as 20 percent. Greek police may have dealt a death blow to the group Revolutionary Struggle, beginning with the arrest of six suspected members several days ago. This week they recovered what they believe to be the organisation's main computer, detailing 13 operations involving high explosive, targets that include politicians, journalists and businesspeople, and a vehicle belonging to one of the six. Police also recovered more than 100,000 euros in cash, two pistols and fake identity cards. Greece's fellow Eurogroup members on Sunday pledged 30 billion euros for a financial rescue package for the beleaguered nation, should it be needed. A further 15 billion euros are earmarked by the International Monetary Fund, media say. The European money would be disbursed at 5 percent, slightly above the IMF's lending rate. It is the first time that the rescue package, under discussion since early Febraury, has been accompanied by specific figures.Greece stressed that it has not yet asked for the activation of the rescue plan, and feels that its mere existence with specifics is enough to calm money market fears enough to allow Greece to borrow viably. The news seemed on Monday to have lowered Greek bond spreads with the German bond (spreads for the 10-year bond stood at 343 basis points at the time of this posting, down from a high of 456 basis points last week, which would have led to borrowing rates of about 7.5 percent). The Athens Exchnage rallied 3.5 percent and the euro also rallied on Monday. Greece is poised to ask for financial assistance from the International Monetary Fund or the European Union within days, possibly hours, Greek and international media report. Greek Prime Minister Yiorgos Papandreou on Thursday asked the European Council of government leaders to finalise the details of a eurozone rescue package as quickly as possible. The leaders of the Eurogroup on Saturday held a teleconference to finalise technical aspects of how a bilateral loan system from other EU members to Greece would work, and with what interest rates. Reuters allegedly quotes a senior EU diplomat as quoting 5 percent, which is far below the current rate Greece pays on the market. The interest rate has been a focal point of the European debate, because it determines the extent to which countries will be encouraged to fall back on EU government-to-government money, broadening the redistribution of wealth between member states, rather than facing the harsher judment of the markets. The Financial Times reported that "Germany was sticking to its demand that the eurozone portion of the loans would have to be made at or near Greek market rates." But on Saturday an official told Bloomberg that "Germany is prepared to give Greece loans at below-market interest rates, dropping its opposition to aid subsidies," as long as the rate remains above that of the IMF. The March 25 announcement of the bilateral loan facility for Greece said the loans would be "non-concessional". The imminence of Greece's request is due to the fact that its borrowing rates rose to record rates on Tuesday and Thursday last week. As this post went to air, spreads between the German and Greek bonds stood at 393 basis points - almost four percentage points. The urgency to the Eurogroup stems from pressure on the euro resulting from fear of a Greek default on servicing its existing loans. Whereas the euro rallied on Friday following market interest in the aid package for Greece becoming reality, Bloomberg financial agency reports on an almost 11-month low for the euro against the dollar yesterday. Fitch's rating agency on Friday cut Greece's credit rating from BBB+ to BBB-, only one level above junk. Greece needs 10-12 billion euros in new loans during May to refinance itself, according to the Economist. Finance Minister Yiorgos Papakonstantinou is to undertake a roadshow in the US during the last ten days of April to raise most of that money. Failing to do so, some analysts think, Greece will certainly need to ask for IMF and EU assistance then. The Greek government is also to accelerate its timeframe for the structural reform of the economy. According to media reports, it will bring forward the reform of social security, privatisations and use of public property, the opening up of closed professions, the simplification of the procedure to open a business and reduction of bureaucracy, and the telescoping of the country's system of local government from over a thousand municipalities to 366, with an equivalent reduction in prefectures. This will effectively dismiss 15,000 contract workers, by some estimates, and save 1.8 billion euros a year. The new timeframe was announced by Papandreou in an interview to the Sunday edition of To Vima. "I think the time has come to open up all the fronts," he said. "because I believe that we must do things now so that they will have an effect after two or three years." Bloomberg on the falling euro: "April 10 (Bloomberg) -- The euro dropped to within one cent of an 11-month low against the dollar this week as rising yields on Greece’s debt fueled speculation the nation would default, damping investor appetite for the European currency." Paul Krugman's NYT blog opens with this analysis on April 8: "The debt crisis in Greece is approaching the point of no return. As prospects for a rescue plan seem to be fading, largely thanks to German obduracy, nervous investors have driven interest rates on Greek government bonds sky-high, sharply raising the country’s borrowing costs. This will push Greece even deeper into debt, further undermining confidence. At this point it’s hard to see how the nation can escape from this death spiral into default." Is the EU safety net helping Greece? The interest paid by Greece to finance its debt continues to rise, despite a European Union credit safety net announced on March 25. Today, the Financial Times reports, its spread with the Germand bond rose to four percentage points, the highest ever. Greece reached a peak interest rate of 7.16 percent on its ten-year bond. The FT also reports that Eurostat will report a slightly higher-than-predicted Greek deficit of over 13 percent for 2009, further undermining the government's credibility. Greece has covered its borrowing requirements for April, but needs another 10bn euros in May. It may seek to raise that through a bond issue to US investors, says the FT.
Financial commentators have pointed out that the EU safety net is not reassuring to investors, because a) it does not reduce Greece's cost of borrowing but insists on roughly market rates, and b) is not activated until Greece has been rejected by markets, and even then only with unanimous eurozone approval. The FT's Martin Wolf argues that Germany is being dishonest about wanting smaller fiscal deficits from its EU partners, such as Greece. Were Greece, Spain, Portugal, Ireland and others to tighten their public finances, they would deliver such a shock to their private sectors that demand for German products would be as low in the European periphery as it is in Germany itself. The European Central Bank, Wolf argues, contributed to fiscal profligacy with its incentive interest rates, determined partly in order to stimulate demand on Germany's behalf. The argument is subversive, courageous and, if correct, truly worrying. If public and private economic discipline, hard work, environmental conscientiousness and an avoidance of acquiring stuff you do not need (the German way of life) lead your economic model to a dead end because it depends on spendthrift, materialistic societies, what hope is there for capitalism? A military video showing a US Apache helicopter firing upon and killing a Reuters photographer and driver in Iraq in 2007 has been released on the web. Reuters had been pressing unsuccessfully for a release of the video under the Freedom of Information Act. Buyers of a 5bn euro Greek bond on Monday sold off larger than expected quantities of the government paper yesterday, leading yields to rise from 5.9 percent to 6.3 percent, representing a 3.5 point spread with German bonds. The re-opening of a 12-year bond also fared poorly. Greek analysts said the poor sentiment was largely temporary. Ireland faced more spectacularly bad news with the discovery that the country's banks faced a 32 billion euro cash shortfall, largely due to bad real estate loans- the equivalent of a fifth of the economy. The government could be liable to cough up 24bn of that, becoming the majority shareholder of every bank bar one. Greece went to the money markets yesterday for the first time since a European emergency credit mechanism was set up on March 25. It successfully raised a bond issue of five billion euros, but failed to restrain interest rates, continuing to borrow at high rates. The interest Greece will pay on that money is 5.9 percent. An explosion in Athens has resulted in the death of a man and is being investigated as a possible terrorist attack. Police say the explosion is almost certainly the result of a bomb rather than an accident. Their main lead is the body of the dead man, who is dismembered from the waist up and whose facial features are indistinguishable. Police believe he may have been carrying the bomb or been an unlucky passer by. Injured in the attack were a mother and her ten year-old daughter, both allegedly of Afghan origin. Police say their lives are not in danger. The explosion took place outside a government building, although it's not known if that was intentional. The area is heavily populated by immigrants from south Asia and Africa. There was no warning via telephone. A warning is standard practice for terrorist organisations in Greece. The last terrorism-related death in Greece was that of British Brigadier Stephen Saunders at the hands of 17 November in July 2000.